Today is World Day for Safety and Health at Work, an annual campaign led by the International Labour Organization (ILO) to promote safe, healthy and decent work. This year’s theme is ‘building a culture of prevention’ and I encourage you to use today as an opportunity to take action towards doing so in your workplace. The impact of unsafe workplaces should not be underestimated. Today, 865,000 people globally will either die or be injured doing their job*. The most recent figures from Safe Work Australia estimate the total economic cost of work-related illness and injury to be $60.6 billion dollars a year**. Workplace health and safety is the responsibility of everyone and requires a coordinated effort of employers, employees, governing bodies, supporting social security frameworks and the providers of safety products. The ILO has created a SafeDay website to explain how stakeholders can work together and it is well worth a visit. As fire safety specialists, the team at Wormald know how important a cohesive approach is when it comes to ‘building a culture of prevention’ and protecting people and property from fire. Prevention should always be a top priority when it comes to planning fire protection requirements. By implementing a proactive fire safety strategy, businesses can increase the chance of early detection of fire hazards and take steps to mitigate the risk of a fire incident. This requires detailed consultation with the business to identify fire risks, the installation and maintenance of reliable fire protection equipment from a reputable provider, compliance with government regulations and standards, a commitment to staff fire safety training and a robust incident management program. It’s important that fire safety is prioritised at all levels of the business and training can help to encourage company-wide awareness of the significance of fire safety. Fire safety training provides staff with the knowledge, skills and confidence to make the right decisions and act quickly. A confident team that is able to respond appropriately to fire hazards and incidents can be an invaluable investment for a business. 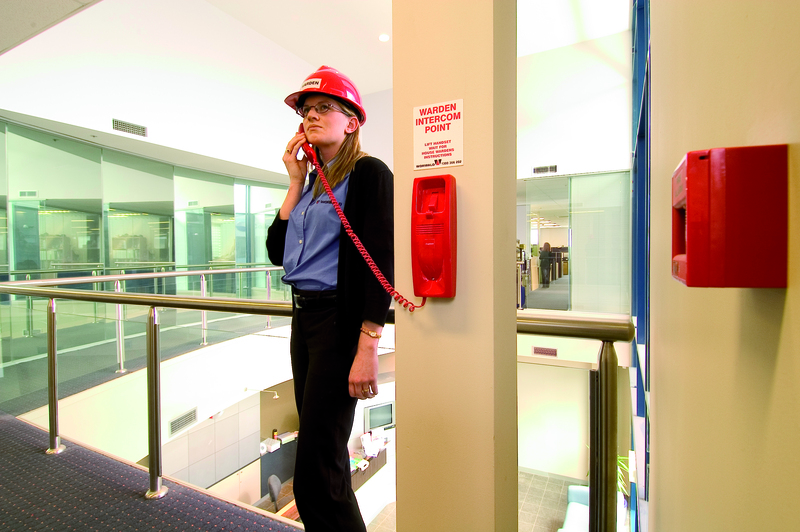 Whether it’s identifying a potential fire risk (such as overloaded powerboards or a blocked emergency exit) and reporting it to management, or evacuating the building methodically and efficiently in the event of a fire incident, well trained staff can significantly reduce the impact of a crisis. There are many training options available for businesses and depending on your industry, your fire protection specialist will be able to advise on the options available to you. The health and safety of our own team here at Wormald is something we take very seriously. We have a set a company-wide vision to achieve ‘Zero Harm to People and the Environment’. The ongoing efforts, contribution and focus of our team have delivered impressive results for the Wormald business, with workplace injuries reduced by more than half compared to this time last year and increased reporting of first aid injuries and near misses, providing us an opportunity to introduce corrective measures. This entry was posted in Fire protection planning, Wormald news and tagged SafeDay, World Day for Safety and Health at Work by wormaldblog. Bookmark the permalink.